It’s time again to recap all the features and announcements we made in the month of March. We made it much simpler for you to collaborate with individuals outside your organization by announcing edit and manage content capabilities for Azure AD B2B. The feature allows external Guest users to edit and manage content in workspaces, get the full home experience, and partake in many content administration tasks. 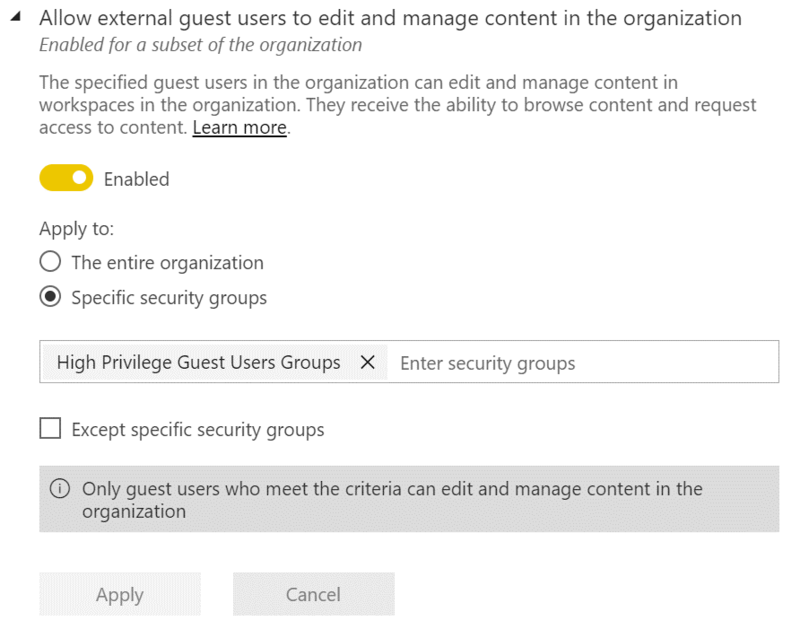 To enable this for your organization, head on over to the admin portal and look for allow external guest users to edit and manage content in the organization in the tenant settings. Be aware that the external Guest user that you have invited to collaborate must have a Power BI Pro license to manage any content within your tenant. Check out how you can assign them a license and more in the Azure AD B2B with Power BI whitepaper. As always, we released an updated version of Power BI On-premises data gateway for the month of March. The latest version has an updated mashup engine and ensures compatibility with the latest March update for Desktop. Check it out by installing the new gateway. We enabled open-platform connectivity to Power BI datasets with the public preview announcement of read-only XMLA endpoints in Power BI Premium. With these capabilities, you can leverage a single one-version-of-the-truth semantic model across a range of data-visualization tools from different vendors, including many of those covered by the Gartner Magic Quadrant for Analytics and Business Intelligence Platforms. Learn more about all its use cases by reading the blog post. Support for Azure AD B2B Guest users – We brought all the Azure AD B2B goodness to mobile. 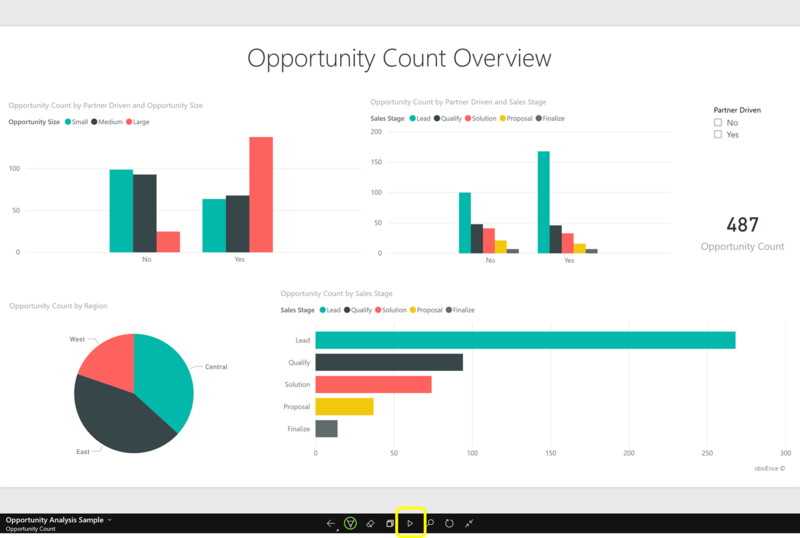 You can now access all Power BI content shared with you from external organizations on the go. Check out the blog post to walk through a scenario. 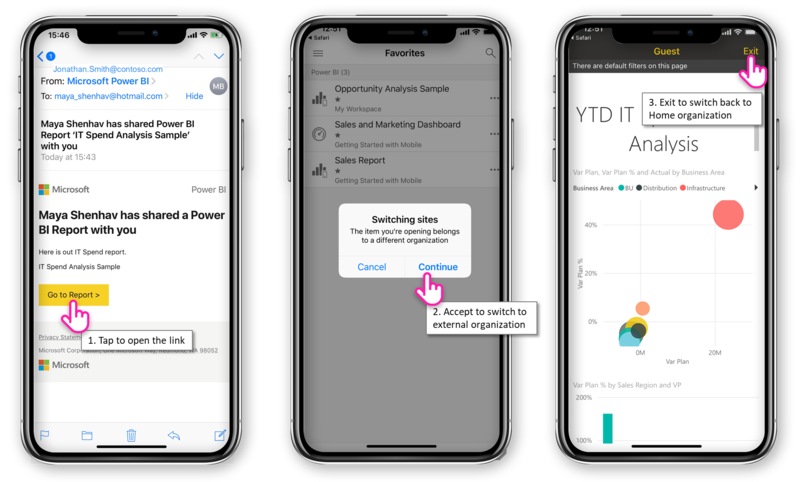 Supporting Report Server and ADFS configuration (iOS) – We made it easier you users access Power BI reports (PBIX) hosted on Report Server configured with ADFS and WAP on your iOS device. Single tap on reports – You asked, we delivered. We completely changed the way you interact with reports on your mobile app by releasing single tap. With this feature, you only need a single tap to perform actions on visuals, buttons, slicers.